As rewarding as it may be, farming is an extremely difficult job—and it ranks among the top 10 most dangerous professions in the United States. For Tennessee’s electric cooperatives, safety is top priority for all—our employees and our members. Our farmers work hard to get the job done, and sometimes it’s easy to forget all the necessary steps to take when practicing safe operations. Grain bins are siloed spaces built for storing grain and fermented feed known as silage. 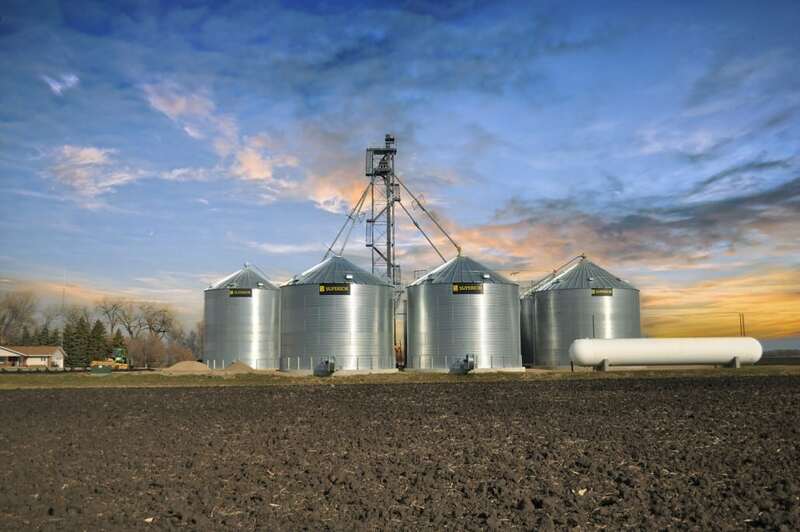 These bins play an integral role in the efficiency and profitability of farm and ranch operations, and safety regulations should always be considered when working around these structures. Whether you’re purchasing new grain bins or remodeling areas that contain existing ones, proximity to overhead power lines must be a considered factor. 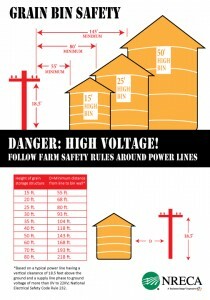 The National Electrical Safety Code requires an 18-foot minimum vertical clearance from the highest point of the filling port of the grain bin to nearby high-voltage wires and a 55-foot minimum distance from the power line to the grain bin wall. See the chart for further guidelines. Changes to landscaping and drainage work can affect clearance heights of power lines, so remember to check these measurements regularly. 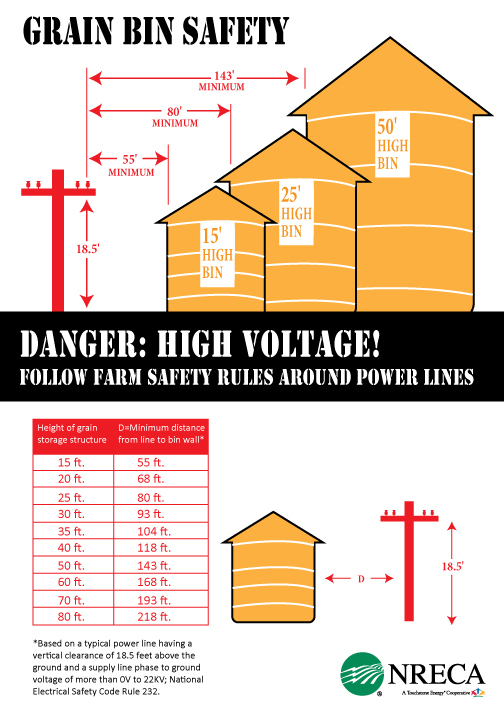 High-voltage power lines are not insulated, so it’s important to remember to maintain an adequate high-wire clearance when using a portable auger, conveyor or elevator to fill your grain bin. When moving equipment, such as a hopper or a scaffold, be aware of nearby power lines. Remember to maintain a 10-foot clearance to ensure safety. Accidents can happen in a split-second, which is why Tennessee’s electric cooperatives remind you to always use caution when working near power lines. If you are considering a plan for a new grain bin or reconstruction of an existing bin’s site, please contact your local cooperative and let them assist you in maintaining a safe environment for you and your family. Image from Superior Grain Storage.